The Madurai bench of the Madras High Court has directed the Holy Cross College in Nagercoil to allow one of its students to complete her sixth semester of the 2014-15 academic year after she was denied permission by the management to attend classes following her inter-religious marriage during the course of her studies. H R Thoulath Hanan, the petitioner married a Christian teacher A L Ajas on November 27, 2014 against the will of her parents. She could not attend college for seven days after her marriage because of pressure from her parents. She alleged that citing her inter-faith marriage, the college refused to permit her to attend her sixth semester classes. Though she had complained to the district collector and the regional joint director of collegiate examination on February 11, she did not get any favourable response. Disappointed, she sent a legal notice to the college to which the Principal, Holy Cross College sent a reply stating that inasmuch Holy Cross College, Nagercoil, is an institution for women and as the college has to maintain its sovereignty, discipline and reputation and considering the obligation of the students and parents, to adhere to the regulations, thereby indicating that the conduct of the appellant was contrary to the above. 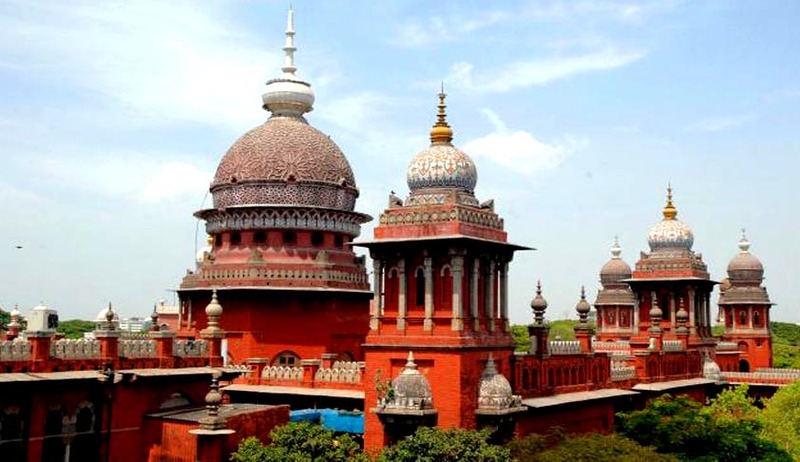 Aggrieved by the College’s response, the petitioner approached the Madras High Court, praying that she be permitted to complete her studies. The Principal, Holy Cross College, further took the contention in Court stated that as per the University Regulations, one should possess 75% of attendance to sit for the examination, and that the petitioner has no attendance at all and has not paid the 6th semester fees. She has not attended the internal examinations and group project work. For the reasons stated above, College has opposed the relief sought by the petitioner. The single judge of the Madras High Court vide an order dated February 27, 2015 dismissed the writ petition of the petitioner. Challenging the order, Thoulath filed a writ appeal, which came up before the division bench of Justices S Manikumar and G Chockalingam who allowed her appeal. Writing the judgment for the bench, Justice S Manikumar said the college had not permitted the girl to continue her studies on the premise that her action to solemnise the marriage during the course of study amounted to contravention of the rules and regulations of the college. Protection of sovereignty, discipline and reputation of the college appeared to be the main concern, he said. "It is common in the said college that married students continue their studies. If that be the case, it is not known, as to why the girl alone was not permitted to continue and why the college should state that her conduct in solemnising the marriage is against the rules and regulations of the college," said the Court. “It may be the genuine intention of the principal that a student should concentrate only in studies and should not indulge in any other activities, which is certainly appreciable, but marrying a person, during the course of study, cannot be construed as misconduct, he said. "Should love marriage between the spouses could be construed as misconduct? If the parents of both had agreed to the marriage during the course of studies, would the college still construe the same as misconduct? What is the mistake that the appellant has committed?" asked the judge. Accordingly, the Division Bench allowed her writ appeal and directed the college to allow her to do the project work and publish the results of the 6th Semester examination.